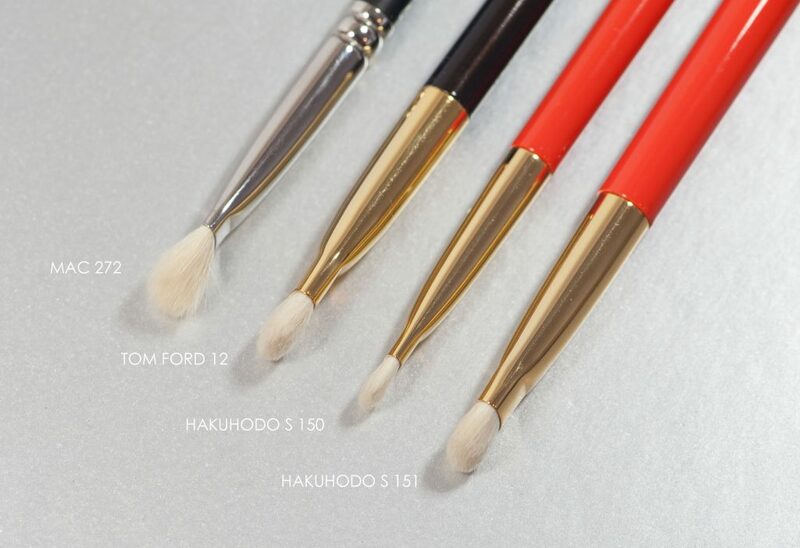 Hakuhodo released some new S100 series, I am not a gold ferrule fan but I truly love these vermillion handles and the 24-karat gold plated ferrules suit them well. 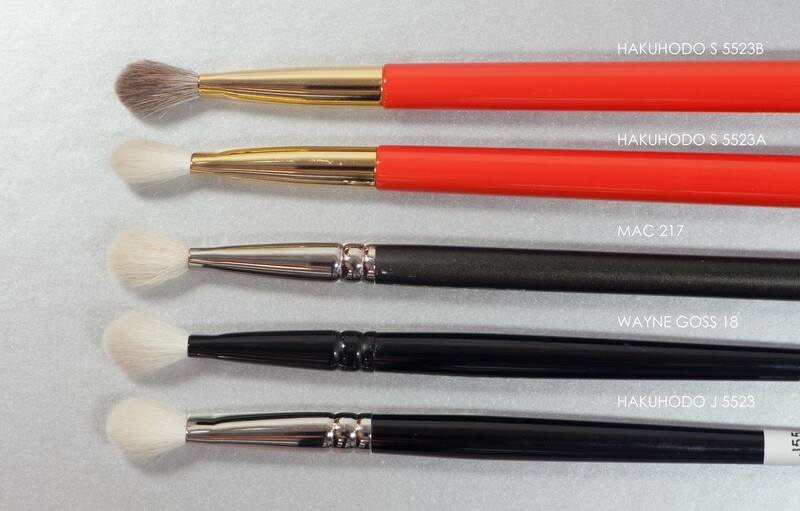 This is the most expensive series from Hakuhodo, their luxurious line, which makes me ponder why they use horse bristles. Horse bristles are amongst the most inexpensive natural bristles, it will be a trend in the future within natural brushes for that specific reason. 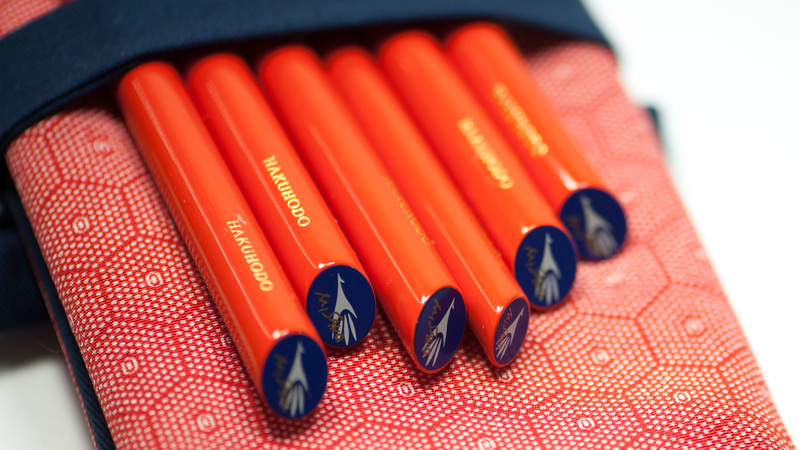 When I was visiting Tanseido, they showed me some of their most amazing creations, the handles were absolutely stunning but the bristles felt quite harsh and did not pair well with such handles. 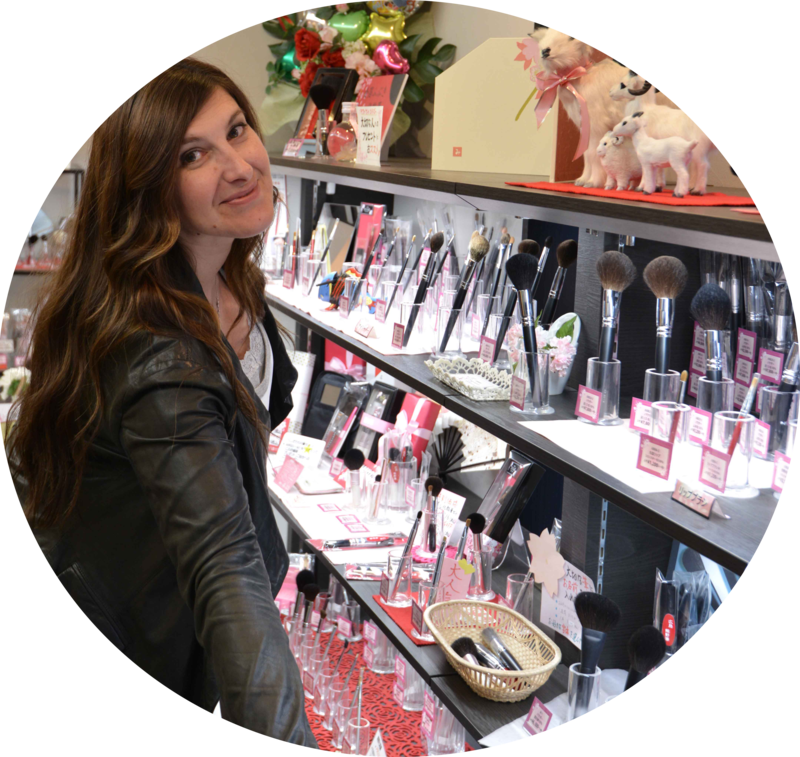 I asked them why don’t they use better bristles on those special brushes ? Three reasons: 1) the price that was already expensive would be even higher, 2) they will last longer with more durable bristles, 3) they are more widely efficient with a wider range of products. Yes, certainly, still… if I can pay that price for a luxurious brush I would love to have a higher grade or different type of bristles. This is not always the phylosophy that manufacturers adopt. Also, we have to keep in mind that make-up in Japan, specially eyeshadows, tend to be of harder textures, sheerer and more difficult to pick, so stronger brushes is not such a bad thing, makes sense. I always keep an eye on what they release from these series because it’s my fav from them, I collect and use them, they are not here gathering dust or being displayed, I truly enjoy the experience of using beautiful brushes. It’s a similar ferrule to the Tom Ford, same width, same golden shade, if the ferrules are the same on two different brands, it doesn’t necessarily mean that the brushes come from the same manufacture, not always, but that there is a big chance that the ferrule provider might be the same. 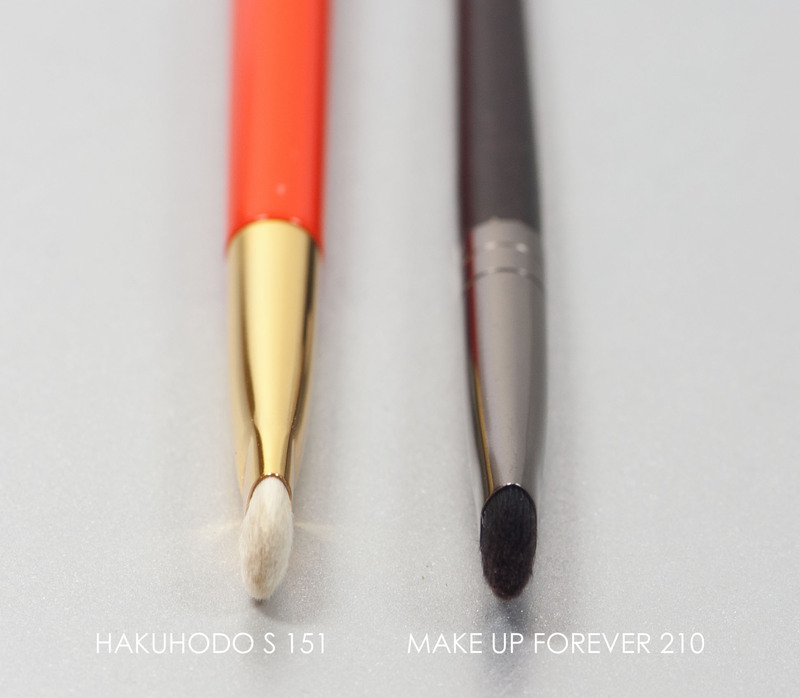 I have used my Mac 219 for many years, compared to the S 147 there is no difference in comfort, it’s just as stiff, there is also no difference in application, the Mac edges are a bit more diffused and the Hakuhodo a bit more sharp but that difference is not significant. The Koyudo C011 is really a soft brush, not that appealing in terms of handle, on top of that I can’t easily work with shorter brushes, if you do love smaller brushes then this is a triple win situation, you get a gorgeous hair, shape and a lightweight handle with a cheaper price. If you don’t care about higher softness and really are going for beautiful brushes, then grab the Hakuhodo, if you want the softest option, pick the Koyudo. 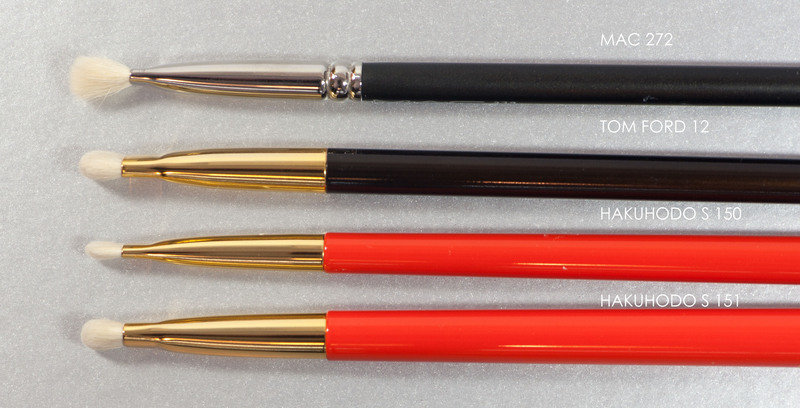 I was really curious about these two oval brushes, I thought they looked like the J 5523 but not quite, was not sure if it was because of the different bristles or because of a different bundling. They launched this new mix goat and horse, the big question is… is the horse the white bristles and the goat the dyed ones? I believe so. Does it matter here? not really. The mix makes the S5523B softer than the S5523A, fluffier, more full, on the other hand the S5523A is more directional and the surface smaller. 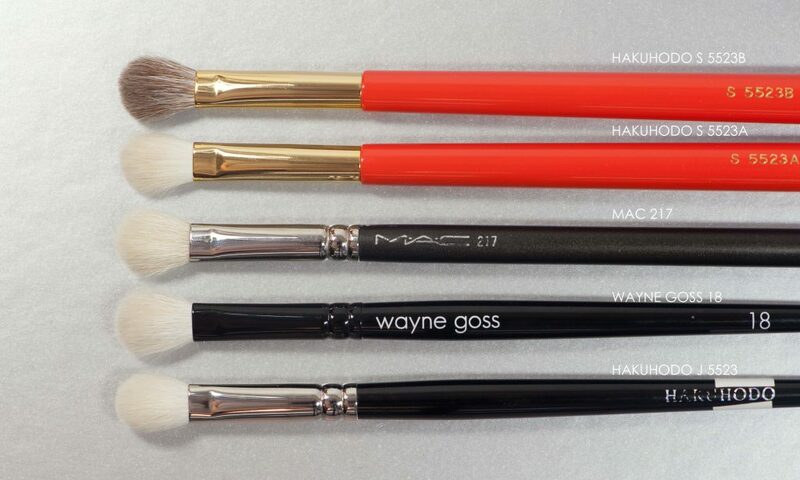 This is the kind of brush that will just deliver a quick and sheer wash all over the lid, moderate blending, you can also tackle the crease but it’s not my favorite type of shape for that, the fact that these are less “full” and a bit longer than other similar options (Mac, Wayne Goss, Hakuhodo J5523), makes it less controllable. The body of this one is flatter than the S5523B, even though the ferrules are the same size, I thought this one was thinner but it’s same size. Compared to other goat versions, it looks like horse hair is by default flat, straight and doesn’t fluff as much, makes it less multipurpose. 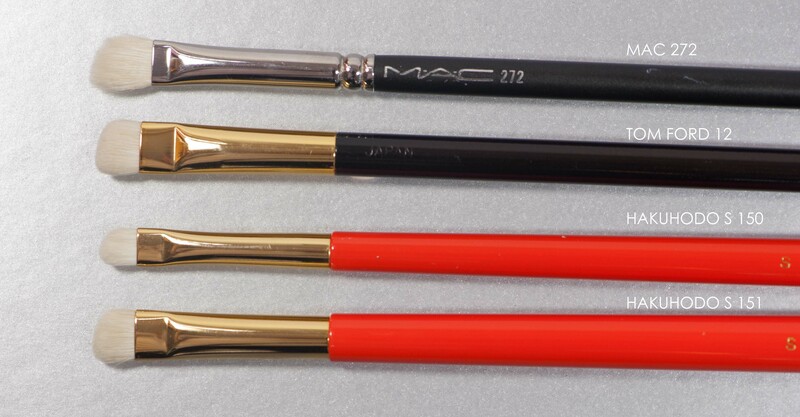 We can see on the sideways picture that they are fluffing out in different ways, I have several Mac 217, each one has its specific shape and is more of less pointy but if you pick goat bristles, you will definitely have a thicker brush, which I definitely prefer. The softer options are the Wayne Goss 18 and the Hakuhodo J 5523 (saikoho grade goat bristles), my J 5523 offers more precision and strength than the Wayne Goss and feels denser. If you have the Mac and want to upgrade, definitely go for the Wayne or Hakuhodo J5523. I still have my Mac because tougher bristles = tougher blending and some people won’t bother about the softness but only about the results. I also keep my Mac for comparison reasons, a brush can be soft but it has to deliver similar or better results than the Mac to pass. Sometimes, going back to Mac reminds me why I started my research for softer brushes! Are these two S5523 worth it? Not to me, they certainly can do their job and I love the idea of combining such mix, it’s just the shape that doesn’t fit my needs. A S100 series version of the J5523 would be a more fit brush for me. This is basically the same as the Tom Ford so if you have that one, you’ll know how it feels and how it works. Works great with difficult products, Tom Ford have stubburn glittery pans and I use the TF 12 brush with them. That shape, that size and density is something I really love, it was softer I would even love it more. In comparison to the TF or Hakuhodo S151, the Mac 272 is softer, but not a brush I use because it’s not soft enough, when a pokey bristle hits my skin I put it back on the table.. I never managed to complete an application with it. On the Mac, the pokey bristles become more obvious maybe because they are more spaced apart. Is it the same that applies for a fakir on a bed of nails? …the denser, the less pokey 😀 The TF12 is denser, it may explain why it feels more bearable. I use this kind of brush to draw a line with powder, faking a liquid liner wing but with much softer edges since it’s done with powder. In terms of application I am happy with it, the size is spot on, but again, horse bristles… I can pack product just close to the lash line, that’s great, but I am not sure I want to. The stiffness of the bristles have a side effect, you loose your margin of error, not that we necessarily need to be so picky but depending on the product, you’ll have to make sure that you are placing it using same strength, same everything. If the brush was a bit softer I believe it would make the application a bit easier. This is a good shape, but it’s too stiff, it blends with huge power but it takes a lot of effort to obtain an evenly blended application, it moves the product around just too much for my liking. If you take the Make Up Forever, this is a nice example between density, softness and flexibility, it’s so dense yet flexible so the application is made easier. Another little brush with a huge potential but the horse bristles don’t make this a daily option. I already had several similar ones that I got hoping they would be soft enough, but all are stiff. I do use them when I really have to fix something but it does not feel pleasant, for a daily use this is not viable. On occasions yes but I would pick a weasel or synthetic brush instead for regular use. The Tanseido is soft enough but it’s so thin that control is completely lost, the bristles just bend without doing nothing. If you are a lover of very soft brushes, these may not the ones for you, in terms of results and feeling, I don’t feel they are worth upgrading if you have Mac, or an equivalent of Mac, for example. They are worth upgrading if Mac are soft enough for you and if you just want the prettier handle upgrade. I have extremely delicate skin, these are not going to be daily favs… they would if they were softer and less stiff. HAKUHODO S SERIES, 140, 147, 149, 150, 151, 5523A, 5523B was last modified: July 20th, 2017 by Sonia G.
hi Sonia, I agree with you. If I am paying a lot of money for a brush, I want it to be the best from a to z, not just half way.. the bristles are the most important in that sense, more so than the handle. The handle is just visual, the bristles are all about how they feel on your skin. I have a few from hakuhodo but also love my takumi series from chikuhodo. I came across a brand called MakeUpShow while looking at delicate hummingbird’s blushes. Got intrigued by the shape of Blush Brush H02. Ever heard? Tried? Suis de retour après des siècles!!!! Tu as eu un bébé, je suis trooooooooooooooooooooooooooop heureuse pour vous et je te souhaite tout le bonheur du monde!!!!!! Félicitations Sonia je suis si heureuse! Que du bonheur! I’m glad I found your site again. I’ve been catching up by reading your latest posts and this one reminds me why having a blog about brushes matters. I appreciate that you compare the brushes visually and texturally . And I also appreciate your advice that helps me decide whether for certain brushes I should invest in a higher quality or not. Thanks! Hi Sonia, I have MAC 219 and 226 and I’m looking to replace them for the S147 and S146 As I find my MAC brushes particularly scratchy. 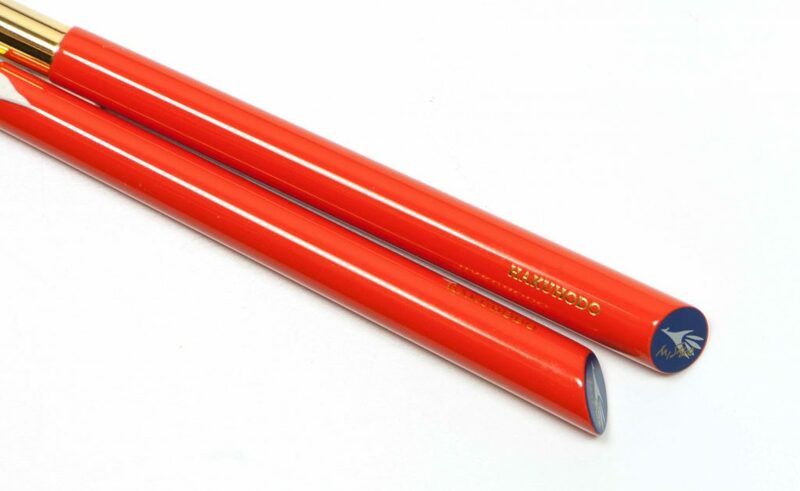 It’s a shame the S147 is the same texturally to the MAC 219 as I’m really drawn to the beautiful vermillion handles. What would you recommend that is similar to the 219 and 226? 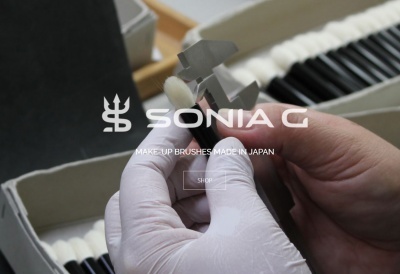 Hi Sonia, Have you tried the new Mac 217S (synthetic)? How does it compare to the J5523? Wondering the same for the Mac 239S (synthetic) version too. Yes I have these two synthetic versions of the Mac brushes. Well, the J5523 is the softer version of the Mac 217 a bit more precise and offers more control with the placement and blending. 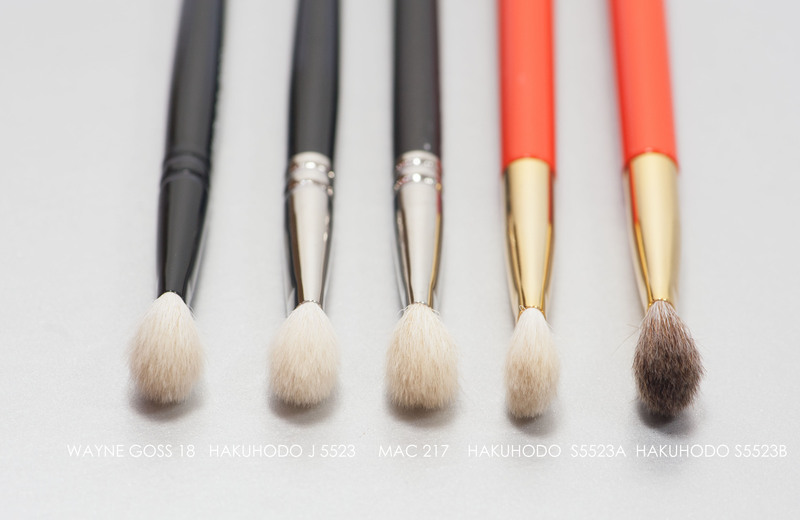 I will try to compare same brushes Mac 217 and the Mac 217s (it’s better to compare the similar brush, but synthetic vs natural), I hope this will end up answering your question, if not please let me know. if you have young lids and look for precision placement with a more precise perimeter, then why not go with the synthetic versions, they will be ok. If you have more mature lids with wrinkles or “folds” (sorry I am really not sure how to call those in English), then you may struggle with the application with those synthetics, I’d rather definitely opt for the J5523. Well, if you want a better application and blending overall, just get the J5523.